British Airways (BA) has locked down thousands of frequent flyer accounts after a mass cyber-attack from an unknown source. BA announced on Sunday it had frozen the accounts after becoming aware its systems had been hacked on a mass scale. The airline maintained that although the affected accounts number in the tens of thousands, no personal details of frequent flyers had been accessed or stolen. 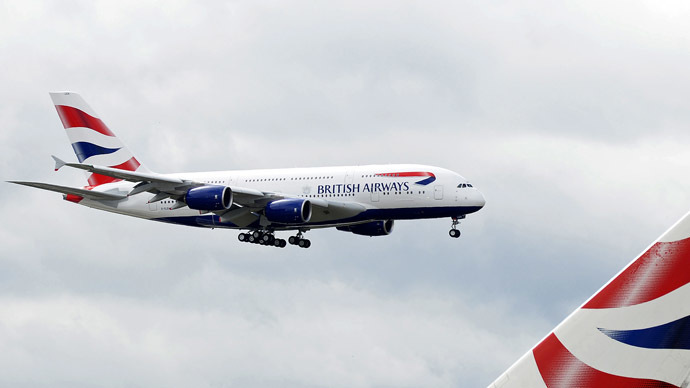 BA issued an apology to customers, saying the accounts would be freed up within a few days. The source of the hack is unknown, but it is believed to have been carried out using a computer program that infiltrated BA’s systems in search of vulnerabilities, before penetrating online security. In a statement, a BA spokesperson said: “British Airways has become aware of some unauthorized activity in relation to a small number of frequent-flyer executive club accounts. This appears to have been the result of a third party using information obtained elsewhere on the internet, via an automated process, to try to gain access to some accounts. BA isn’t the only airline to fall foul of cyber-crime recently. In October 2014, a poll indicated more than half of Britons have been victims of online cybercrimes, including hacking, ID theft and fraud. The Cabinet Office said many people are unaware who to contact in the event of an online attack. The statistics, collected by research firm Vision Critical as part of “Get Safe Online Week” 2014, surveyed 2,075 people on the issue of internet crime, with around 51 percent saying they had felt “violated” after falling victim to attack. The results also show that despite a huge rise in cybercrime in the UK, less than a third of those affected actually reported attacks to the authorities, largely because they did not know whom they are supposed to contact.